In a unanimous Supreme Court opinion, the nine Justices ruled in February 2019 that the US Constitution’s Eighth Amendment ban on excessive fines applied to the 50 states. The case before the Court was on appeal from the Indiana Supreme Court which has ruled that the government could seize a defendant’s $40,000 Land Rover even though the defendant was charged with selling one percent that amount – $400 of heroin. Justice Ruth Bader Ginsburg wrote the unanimous opinion. The defendant in the Indiana case pled guilty to the drug charge but was not required to spend time in jail. Law enforcement had seized the Land Rover because the defendant was using the vehicle when he was stopped. The defendant had purchased the vehicle with life insurance proceeds he received when his father passed away. A lower court judge had ruled that the since the maximum fine that could have been imposed for his offense was $10,000, that a $40,000 was not proportionate to the offense. According to the New York Times, the defendant was ordered to pay $1,200 in fines, one year of house arrest, and five-years’ probation. The Indiana high court reversed the decision by ruling that the Constitution’s 8th Amendment did not apply to the states. The Court applied the due process clause of the 14th Amendment in making its ruling. Justice Thomas would have applied other parts of the 14th Amendment in reaching the same result. Asset forfeitures have long been used by law enforcement to possess homes, cars, and other assets if they were involved in a criminal offense. Civil forfeitures have been opposed by lawmakers on both sides of the aisle, alike. The Washington Post, one of many publications to report on the Supreme Court ruling, stated that civil forfeitures have increased dramatically in recent decades. The funds raised from selling the seized items usually go directly to the agency that seized the property – raising the concern that forfeitures were being used to raise revenue when other sources should be used. At the Law Offices of Adrian H. Altshuler, our criminal defense lawyers advocate for anyone charged with a crime. We assert all your rights to help you win a dismissal of the charges, a fair plea bargain, or an acquittal. 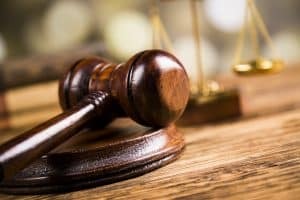 Our criminal defense lawyers in Franklin, Columbia or Brentwood are ready to help you get justice. Please call 615-412-1121 or fill out the contact form to schedule a free appointment.